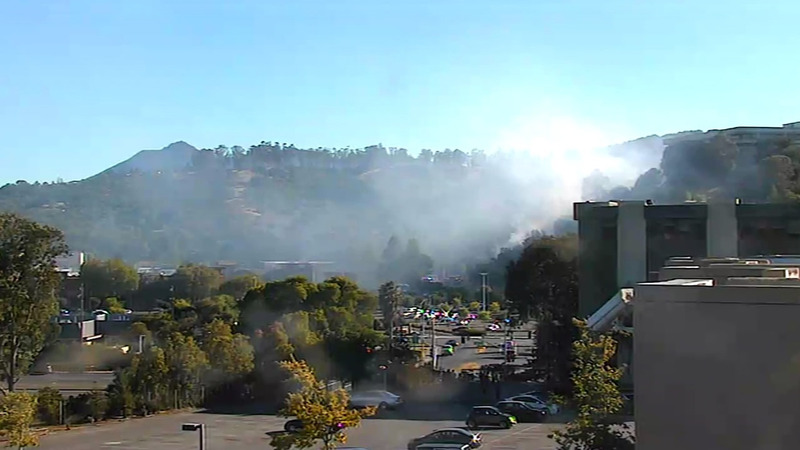 SAN RAFAEL, Calif. (KGO) -- Crews are responding to a brush fire burning near Northgate Mall and Highway 101 in San Rafael this afternoon. At least one vacant building is threatened at this time. Officials say arson may be to blame for this fire. The Marin County Sheriff's Office says the suspects are described as a small group of juveniles wearing while polo shirts. If you see breaking news happening where you live, tag your photos #abc7now.